Explore Mooloolaba’s glamorous beachfront esplanade full of outdoor cafes, juice bars, alfresco restaurants, and fashion boutiques. Enjoy attractions like the exciting UnderWater World and the marina, as well as some of the Sunshine Coast’s best dining. 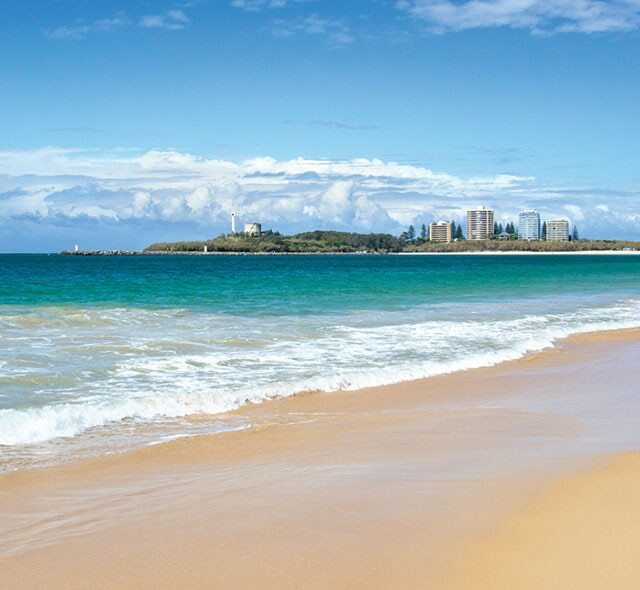 Mooloolaba was nominated as one of TripAdvisor's Top Ten Australian Beaches, boasting endless activities for swimmers and surfers. Likewise, snorkelers and jetskiers will delight in the beautiful waters, while those who prefer even more adventurous pursuits can dive with sharks and mingle with undersea creatures.